Value of a Dollar: Do You Know How Your Credit will Affect Your Interest Rate? The term “credit score” has become a household phrase, yet many people don’t understand the importance of their credit rating and how it is affected. Because of this lack of understanding, millions of people live with poor or bad credit because of choices they made that were easily avoidable had they known the consequences. In fact, according to Experian’s Vantage Score data, almost a third of Americans have poor or bad credit (designated at a credit score rating of less than 601). Bad, or deep subprime, with credit scores of 300 to 499. The determination of your credit category affects your future borrowing potential, as the better your score, the lower your interest rates on any purchases you make on credit. Why is Your Credit Score so Influential on Your Interest Rate? Your credit score is actually a quick picture used by lenders to get an idea of your overall credit history. It’s a compilation of a number of financial things – the total debt you have, how well you have paid your creditors in the past, how much open credit you have the potential of accessing, and more. Lenders use this information to determine the confidence level they have that you will repay your debt, making payments on time and paying off the loan amount as scheduled. Higher credit scores equate to higher confidence in you from the lenders, and this often results in lower interest rates. On large purchases, a lower interest rate can mean thousands of dollars less that you have to pay over the course of the loan. The first way to take control of your financial security is to see what the lenders see – what is your credit score? There are many reputable programs available that give you access to your score at no charge. From there you can determine if the debts on your credit history are accurate and dispute any false charges. You can also see what is causing you to experience drops in your credit score, like late payments or a history of delinquent balances. You can work with the lenders you have outstanding balances with to fix these negative blights on your credit and play around with the credit calculators most programs have to see how making changes in your finances (like paying off $1,000 worth of debt or taking out another credit card) will impact your credit before you take any action. Being knowledgeable about how your credit score goes up and down is a smart financial move. Take the time to analyze your credit score and why it is where it is. This detailed review will guide you into your next steps to take control of your ratings and your financial security. If you are planning on making any purchases on credit in the upcoming future, it’s important to get a handle on your credit today so that you can save thousands of dollars in interest rates later. To do this, you have to understand what your score is comprised of, and what each part effects. FICO uses five parts to determine your comprehensive score. Payment history: The word “history” implies that it has already happened, and so these are things that you can’t do anything about from your past choices, but you can use this to influence future decisions. Your payment history makes up 35% of your credit score and is considered the most important factor in most lender’s decisions. Making consistent, on-time payments in the future is the only way to salvage this part of your score. Credit utilization: This number is the percentage of credit you have allowed to you versus the amount you currently owe, and it makes up 30% of your credit score. 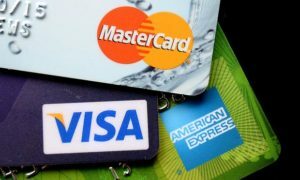 Regularly maxing out your credit cards is seen as irresponsible debt management. You can increase your credit score significantly by paying off some of your credit cards or at least reducing the amount you owe to half of your balance. You may be able to do this through a line of credit or unsecured personal loan with better payment terms so that you get rid of the old, negative balances and have a fresh loan with lower rates. Length of credit history: Again, this is not something you can change yourself, but it refers to the length of time each of your credit accounts has been open and considers the length of time since your most recent action on the account. It comprises 15% of your score. To help improve this area, keep your credit cards open even if you do not use them. This shows that you are able to maintain accounts for long periods of time. New credit and credit mix (two combined parts): Those individuals who are just beginning to establish their credit should avoid opening too many new accounts at once since this can be a warning flag of future irresponsible financial behavior. Only open accounts as needed, and pay them off on time. Credit mix refers to a healthy variety of accounts – a mortgage, an auto loan, and a few credit cards. Borrowers with a mix of revolving credit and installment loans paid on time are considered to be responsible credit users. The combination of new credit and credit mix makes up 10% of your credit score. The foundation of understanding what your credit score is made up of can help you make smarter decisions when it comes to your finances. Improving your credit score today will save you thousands of dollars in the future when you take out your next loans, and will ultimately set you on the path to financial security and stability.